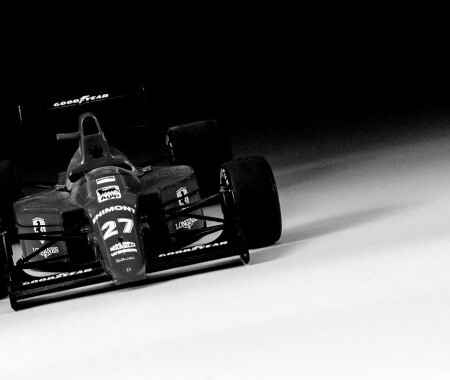 This car was Johnny Herbert’s introduction to a long and well respected career in F1 racing. 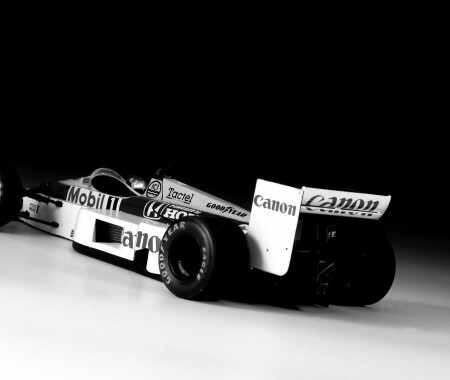 Following a fantastic 1988 season, the B188 was used for the start of the following season as it’s replacement, the B189, wasn’t ready sue to delays in it’s production. Herbert had replaced Belgian driver Thierry Boutsen for the start of the season and got off to a flyer at the season opener in Brazil, were he beat his much more senior team mate Alessandro Nannini to an excellent 4th place. His next 3 races in the B188, weren’t as successful, but Herbert did manage to beat Nannini again at the American Grand Prix to gain more points with a well driven 5th position. The Ford powered car, it’s large 3.5 litre V8 power train under the vibrant body helped Herbert to a respectable 5 points from the first 5 races of the season, but despite this good start to his F1 career and the influence of long time friend and mentor Peter Collins, who managed the Benetton team when he joined, Herbert was dropped following failure to qualify for the 1989 Canadian Grand Prix. An early lesson in Grand Prix racing for the inexperienced Herbert, sending him back to Formula 3000 until his next F1 call up with Tyrrell. I had heard that this model was pretty tricky to get a good result with, thanks to the vibrant but very fiddly paint job on the car. I had to respray the engine cowling twice to the get the chevrons looking correct. I found that the use of masking fluid combined with thin masking tape helped to get the line correct over the curves of the body work – but even taking up to an hour to mask each colour, the paint job still has some flaws if you look close enough. Thankfully, from a distance, you can’t see the the rough edges to the colour boundries, and while the green may be a little too dark, I am very pleased with how the final product looks, especially the gloss. As this the first model I have painted with Vallejo Model Air paints, is was a good experience to see how they would finish up – they spray very well ( albeit with a little thinner ) and cover detail areas very smoothly. Use of Alclad on the engine block, finished with some Tamiya Weathering set “oil stain”, gives the engine a bit of life, as it does on the exhausts, where I used the rust colour from the same set. Just be careful that you don’t keep rubbing it off with your fingers!